A bulldozer moves snow into a dump truck to be carted away. That's how it's done in Manhattan and why everyone wonders where did the snow go. 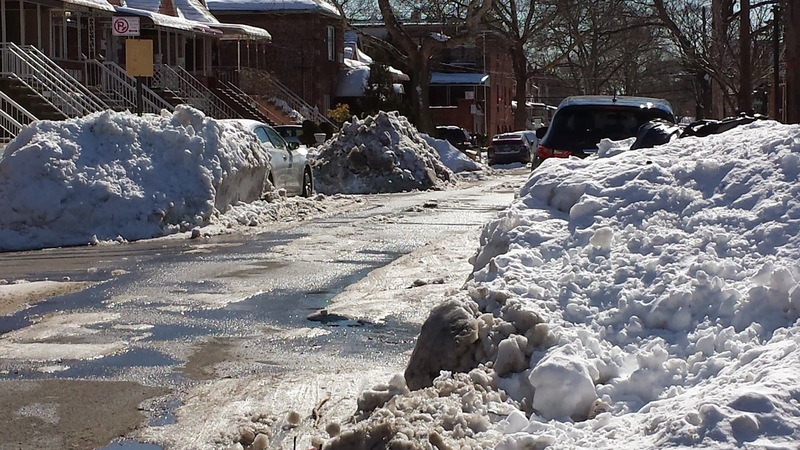 But in the photo below in south Brooklyn mountains of snow stay on the streets for weeks waiting for the sun to melt these huge mounds that local residents built to clear up parking spaces. Now it's time to cart them away. Side street in Sheepshead Bay waits for the trucks to cart the snow away. 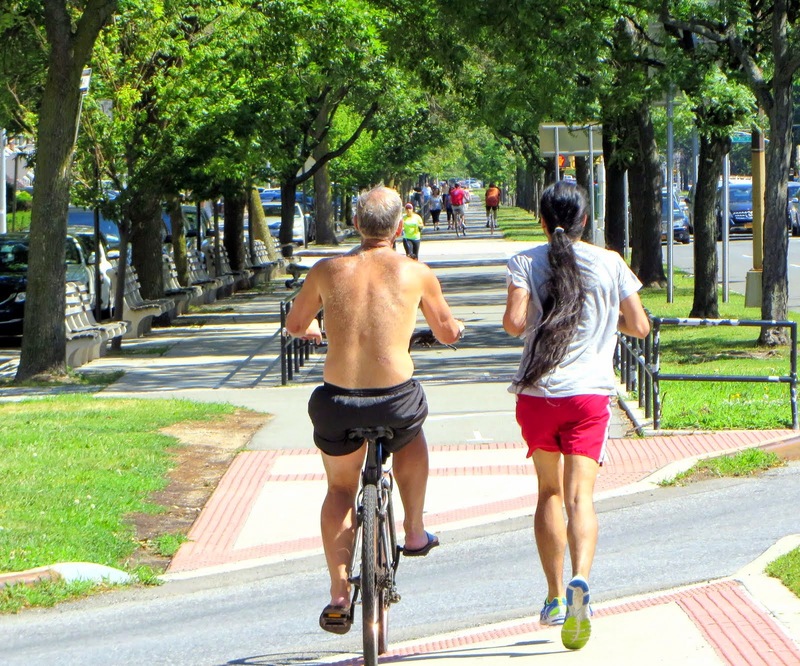 Sharing the bike path...a civilized option.